A minority use it to enhance and improve their athletic performances. 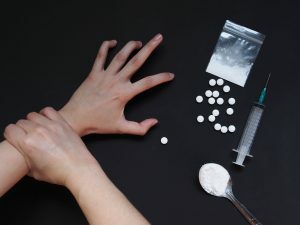 However, sometimes people are given drugs to alleviate medical problems – like pain or depression – and they get addicted to those medicines as well. How can we deal with a drug addiction problem? Acceptance – Decide that you want to make a change and STOP using drugs. The desire to get better helps fight the addiction better. Take assistance – Start being honest with yourself and your loved ones. Support is very essential for recovery. When you have the support of your loved ones, treatment and recovery becomes emotionally easier. Rehabilitation – It involves addressing various aspects of your life including personal and professional life. It also involves getting ready to face the world again. Deal the issue – You have to learn to deal with your issues in a healthier manner. Consider Psychotherapy and Counselling. Support group Impact – Join a support group and attend the meetings regularly. When you interact with people who have a similar problem, their stories and experiences will encourage you as they know exactly what you are going through. Stay away from addicts – Change your social circle if your friends are the ones who got you into this habit in the first place. Distract yourself – Keep yourself busy and occupied. Pick a new hobby. Get a pet. Get more involved with the community. Set new goals. No quick solution– You have to understand and accept that there is no quick-fix solution. Recovery is a long process and it’ll take time, effort and patience. It is shocking to hear a survey report of NSDUH in US. According to the National Survey on Drug Use and Health(NSDUH), 21.5 million American adults (aged 12 and older) battled a substance use disorder in 2014 and these numbers have increased.